Christmas Goddesses and What is Possible for Us? Dr Joanna Kujawa, Spiritual Detective :). So this is how it happened. It was unexpected, as I was planning to write a completely different blog. But as I was lying in bed this morning and asking for guidance this blog started to flow through me – and here we are! I have learned to listen to this guidance, as it is much wiser than my thoughts and desires. So please plunge with me into this and see what happens. It is no secret that my relationship with my original religion Catholicism especially and the Virgin and Mother Mary is somewhat tense if not rebellious – but it was not always like that. Mary and I have good memories together and it is not Her fault that she was … well … presented or misrepresented in one particular way or, worse, completely side-tracked in other forms of Christianity. So I have come to accept that my argument is not with Her but with the organisational structures that speak of religion but have no idea what a spiritual experience is. Structures that want us to worship other people’s spiritual experiences – usually from a remote past – but won’t allow us to have our own. But back to Mary the Mother. When I was a little girl, I lived in communist Poland which also – very strangely – was a bastion of Catholicism and the worship of the Mother Mary (also called the Virgin Mary) in Europe. I remember, especially, one beautiful summer day, walking through a boulevard in my hometown and on a whim or intuition I bought a bunch of yellow freesias from an old woman who was selling them on the street. Then I walked in to one of the many beautiful Baroque churches in town. I did not walk to the main altar but rather to one of the side altars in one nave of the church and put the yellow, fragrant freesias on the altar of Mary and prayed. For some reason this beautiful memory imprinted on my soul, as the day was not significant, nor was the prayer. Just a moment of pure Grace. 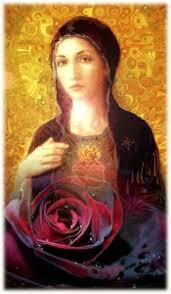 A moment of recognition of the Light of the Feminine Divine – even if not consciously and not intellectually. A moment of Grace and Beauty which somehow has imprinted itself in Eternity – a young blonde girl, with yellow freesias at the altar of a Goddess. Some years later – I believe it was in my first year at the Catholic University – our relationship became more complicated. I was sitting in a student café under the painting of the Virgin Mary of Czestochowa (also known to the Poles as the Queen of Poland) and reflected on the scar upon her face. I resented everything she symbolised: her suffering, her self-sacrifice and her surrender to the inevitability of her life. I did not want it. I wanted something different. I wanted to make choices for my own life. I wanted to be empowered and to live a life that was not predetermined for me because of my birth or gender. I wanted a different Goddess! Little did I know that Black Madonnas were that different Goddess. It was probably 30 years later when I read and researched the Black Madonnas – notably the work of Margaret Starbird – and learned that the Black Madonnas might actually represent Mary Magdalene with a child. That the Black Madonnas began to appear in about the 12th century when the Cathars, French ‘heretics’ who, among other things, believed that Mary Magdalene had a child with Jesus, were persecuted and killed off. The mysterious Black Madonnas began to appear on the altars of Gothic churches – the black, some argue, represents the symbol that they are the shadow Madonnas that no one is allowed to speak about. But I did not know any of this then. I did not know that it was the beginning into my research into the pre-Christian goddesses and their link to Mary Magdalene as the Goddess I was intuitively looking for. It was only after I had already lived in many countries, after studying at the Pontifical Institute and deciding that the religion I was born into couldn’t nourish me (this was not an easy decision and it took me years to make) that I was asked to follow two men to Jerusalem and write a book about their discoveries (Jerusalem Dairy: Searching for the Tomb and House of Jesus). While in Jerusalem I had some profound spiritual experiences but I will share with you those related to Goddesses. One of these experiences took place in the Church of Mary Magdalene on the Mount of Olives in a Russian Orthodox Church. This is one of the more prominent churches in Jerusalem and seemed to me very mysterious and dark – and different to the Catholic churches I was used to. The nuns who ran the church were dressed in black and all the altars had paintings of Mary Magdalene at different stages of her life. Although in some of them she was still portrayed as a penitent woman, it was a different painting that caught my attention – one that portrayed her as a full Goddess, empowered and magnificent. She was standing in front of an emperor (Tiberius Caesar as the story goes) with an egg in her hand and explaining to the emperor the mystery of resurrection. In that story, Mary Magdalene went to Rome, gained an audience with the emperor, presenting an egg as a symbolic gift – and then told him off for crucifying Jesus who, she said, was a divine being whose resurrection she had witnessed. The emperor said that the resurrection was as possible as the egg she had brought to him turning red. Well … in that story, apparently, Mary Magdalene turned the egg red (which is why eggs are painted during Easter by the way – to honour Mary Magdalene). Whether the story is just a figment of a medieval imagination or not, I do not know. But it is a story worth remembering and much better than the made-up story of the penitent prostitute. Another beautiful experience I had with a completely different Goddess was in the Church of St Anna in Jerusalem. St Anna was Jesus’ grandmother. Unlike the Church of Mary Magdalene, which was filled with a mysterious power and Sophia Energy, the Church of St Anna was built of limestone (I believe), and full of light and Maternal Energy. This, incidentally, reminds me of when I visited Jesus’ house in Nazareth (not the one the Church says was His house but the one under the Sisters of Nazareth convent) and had a vision of Him sitting on His grandmother’s knees. And that brings me to my last Christmas goddess – my grandmother, Antonina. My ‘Babcia’ Antonina always came to visit us to make sure that our Christmas Eve was properly prepared, with the 12 traditional dishes, that we sang all the Christmas carols and that the family was held together after my parents divorced. She was my strength, she was my source of love and support – and my defender. She also taught me to read before I went to school (and you know how reading and writing is important to me.). She was the goddess of my childhood. Now, you may ask, what does this all mean for us? This story of Christmas Goddesses as well as the Christmas story itself? My answer to this is that, for me, the story is about Possibilities. About taking charge of what stories we believe and what stories we want to live and manifest. That we are in charge of our own stories. That we can honour Goddesses in our lives and honour ourselves as Divine Beings on the Journey. And the story of that Birth is for me the story of opening to Higher Possibilities of ourselves. It is a story of transcendence and leaving behind what does not serve us anymore, a story of leaving the concept of our smallness behind and opening up to our Highest Possibility. The way I look at Jesus is that I see Christ Consciousness as the Universal Consciousness (also known as Shakti) that creates everything and makes everything possible. Yes, possible. Once upon a time, that Consciousness descended – and continues to descend and manifest in every moment of our lives – into our souls and bodies to show us that our Highest Vision of ourselves is possible. That it is this vision that is required of us. The rest is just the fear and noise of a confused and badly organised world. Ignore the noise and act on the vision. Be the embodiment of your Highest Possibility. This entry was posted in Goddess News and tagged Black Madonnas, Dr Joanna Kujawa, Goddesses, spiritual blog, Spiritual Detective. Bookmark the permalink. 11 Responses to Christmas Goddesses and What is Possible for Us? Yes, it is my perception that the images of the crucifixion are horrifying and created with the intent to create fear and guilt instead of the spiritual inspiration. In my book, I argued, in a somewhat rebellious way, that instead of focusing on His spiritual teachings, organised Christianity chose to focus on His death. I am glad that you have a special connection to Hildegard. She was quite a mystic! And not surprised that she guided you in your alchemical explorations as she was very interested in the intersection between the nature and the divine. I had never heard before the story of Mary Magdalene in Rome after the death of Jesus. What a great story….. so that is why we paint Eggs for Easter ? I am prompted to delve further, as I am interested in the connection between Easter and the goddess Eostre. The egg is such an ancient symbol with very profound meaning. Thank you for this interesting piece, Joanna – I always find your work stimulating and worthwhile. Thank you, Pippa, for your comment and encouragement. I love that story as well. And I also agree that the story of the egg and especially of Mary Magdalene has very ancient connections and connotations. 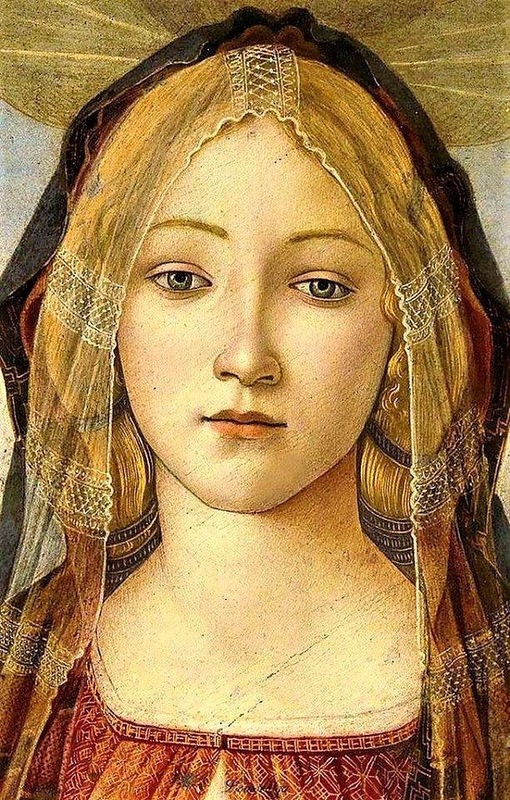 In my other blogs I tried to delve into the lineage of goddesses and Mary Magdalene (albeit without the egg component) as I have some theories about her in connection with many ancient goddesses. I am not sure if you had a chance to read http://www.joannakujawa.com/inanna-ishtar-isis-mary-magdalene-recovering-the-lineage-of-the-lost-goddess-and-other-stolen-stories/ and http://www.joannakujawa.com/goddess-and-the-secret-power-of-the-serpent-and-the-tree-of-life/.